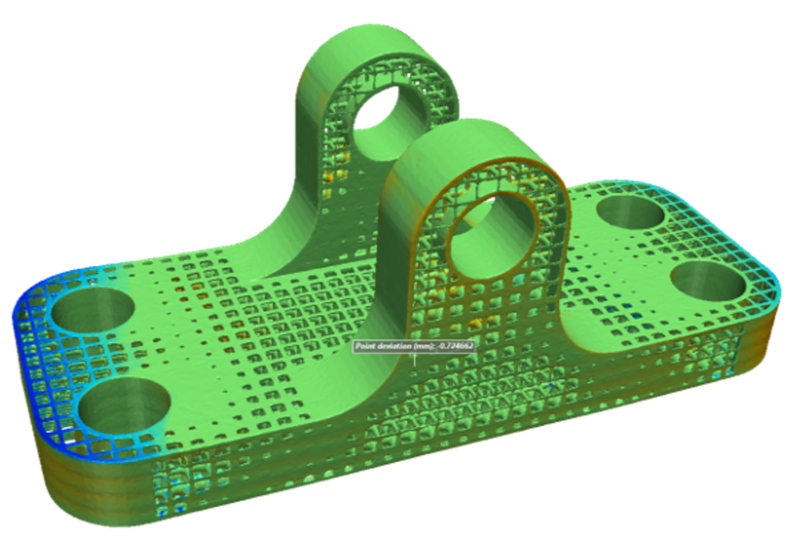 Learn how 3D image data model generation software like Simpleware and solver ANSYS enable quality control of Additive Manufactured parts in the aerospace industry. Read more at Aerospace & Defense Technology. I am new in ansys and I have a problem,I will be glad if you help me find the solution for it. I want to model a poly crystalline material and I have some problems in defiing material properties. For each grain the material properties is a function of grain size. So for each grain I need to calculate grain volume and use that value to calculate the plastic flow stress and true strain. I want to write a script in ansys to calculate the volume of each grain, calculate the properties and assigh a material with that property to each grain. Can any one help me ? I have to perform a thermo-mechanical simulation in Ansys WB and I have to provide the cte of a material. I have few experience with thermo-mechanical simulation. and two coefficients: cte1 (below Tg) and cte2 (above Tg). Hi dears colleagues. I'm Phd student. I want to simulate porous material and study its swelling in Ansys. I am working in the design of one packaging for pressure sensor (piezoresistive), this packaging should be really cheap, I want to use a layer of parylene to cover the surface of the Silicon Pressure sensor, which include the diaphragm with the piezoresistive materials, I am using ANSYS to select the optimal thickness of the layer of parylene. Positioning hip implants poses a number of challenges, particularly in terms of getting bone and implant contact right. While experimental testing can be costly, image-based modelling can be very effective at predicting the best and worst positions for implants. software is distributed globally in partnership with Dassault Systemes. You will be working on stress simulation of electronic components and sensors with a group of brilliant minds here in Apple’s Headquarters. You are a graduate student with good academic standing majoring in Mechanical Engineering, Engineering Mechanics or similar engineering fields. You are a good programmer and familiar with Python. You must be authorized to work in US. The intern position is open immediately. Send your resume to Jeff Zhao (jhzhao at apple.com).